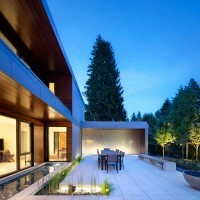 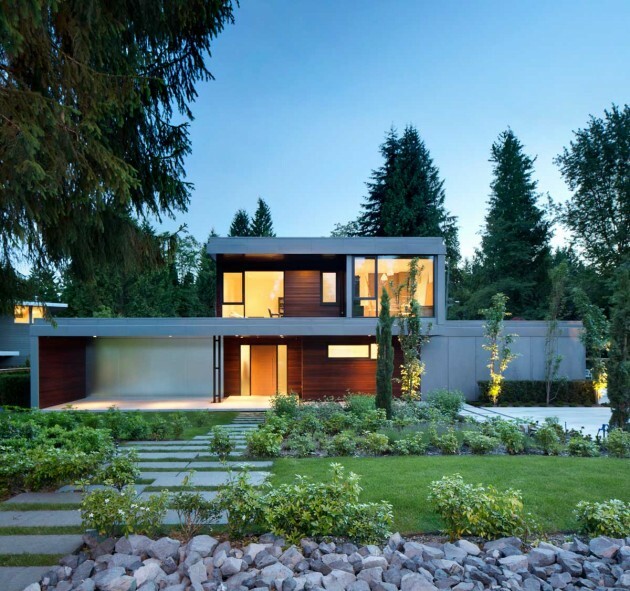 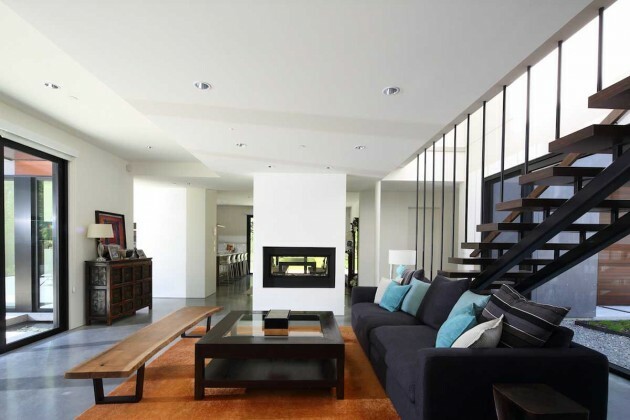 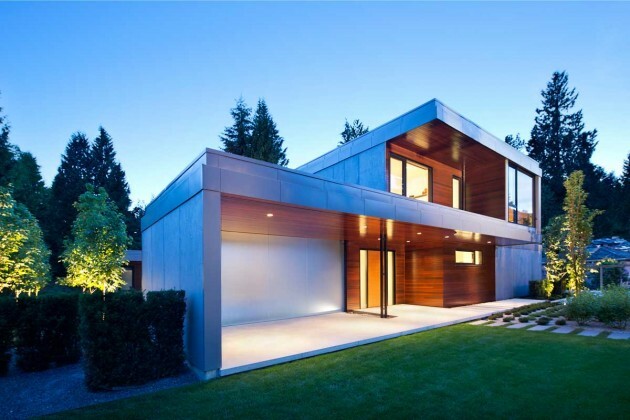 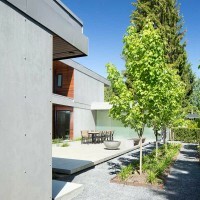 Architect Randy Bens has designed a contemporary family home in West Vancouver, Canada. 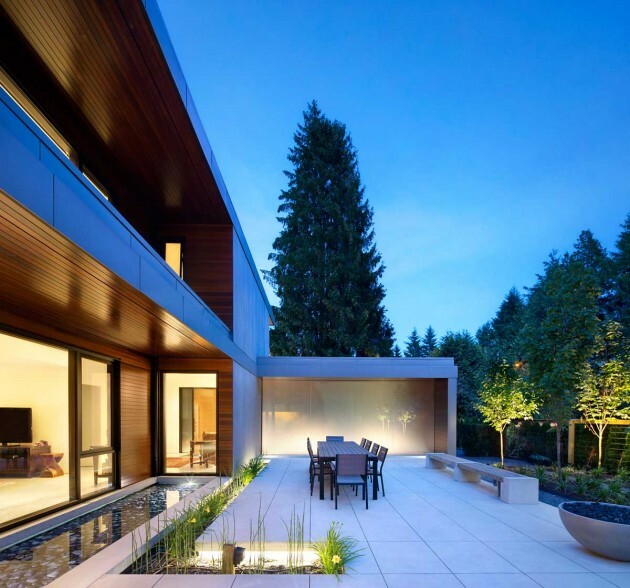 Located in West Vancouver, British Columbia this house has been designed around the idea of two courtyards. 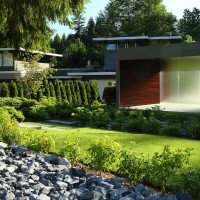 The resulting H-shape creates a great variety of exterior spaces (moss garden to the north, and paved surfaces and reflecting pool to the south). 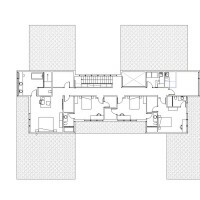 The upper floor aligns with the center of the H, and cantilevers over both ends of the lower floor. 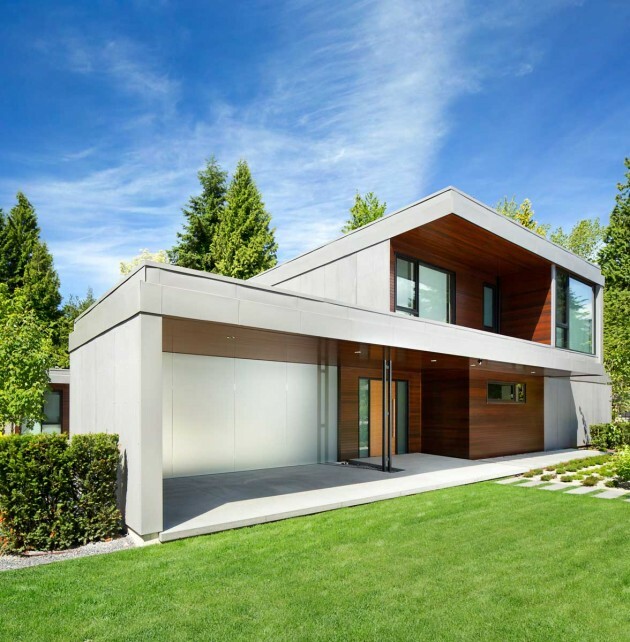 The cantilevers join the lower roofs making east and west facing porches. 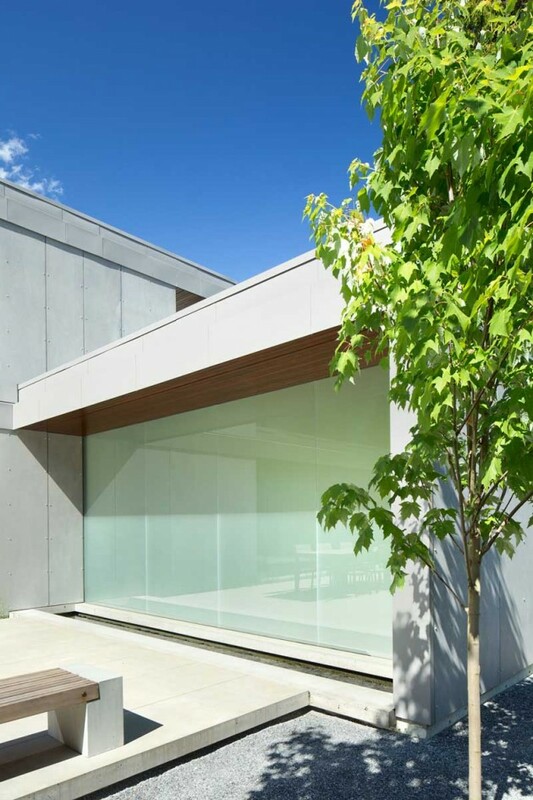 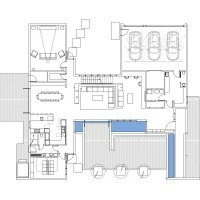 The result is a strong fascia / outline that travels both vertically and horizontally, defining the character of the house. 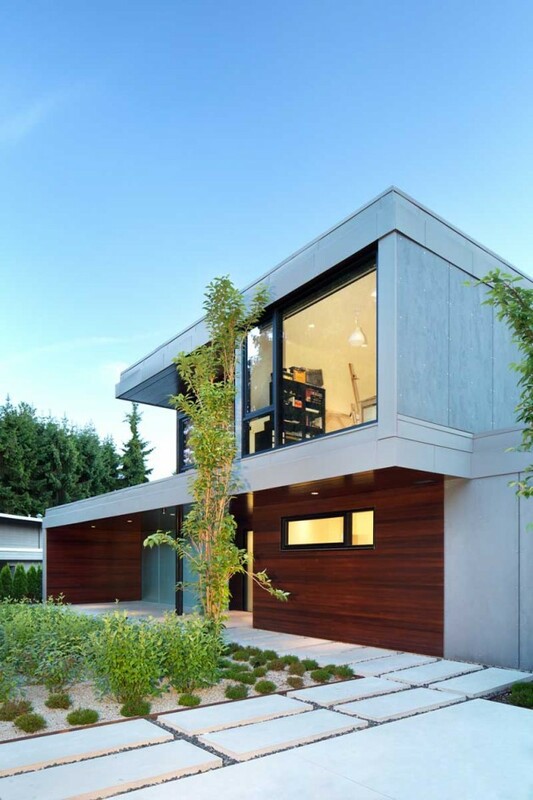 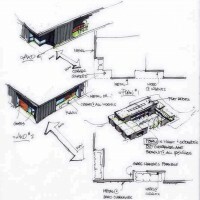 The exterior materials are a composite panels with exposed fasteners (where there is no overhang), and stained cedar siding (where there is an overhang). 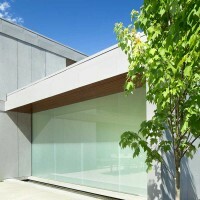 The warmer wood material, with the finer scale, is close to you when you enter and exit the building. 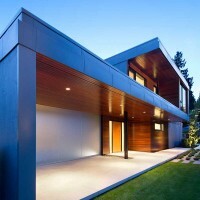 The flat, durable, grey panels form the wrapper.